Inspired by Joshua, Ray Lewis has been a wonderful advocate and supporter of the Trust for many years. 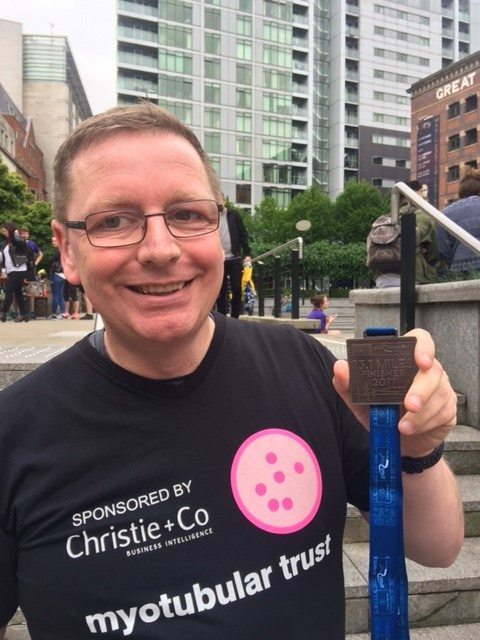 Ray has taken part in the Oldham Hope Walks, he has abseiled, and last year he ran his first 10k, raising a fantastic amount in sponsorship for the Trust year on year. After the 10k last year, Ray told us that he would like to try a half marathon. And now he has done it! 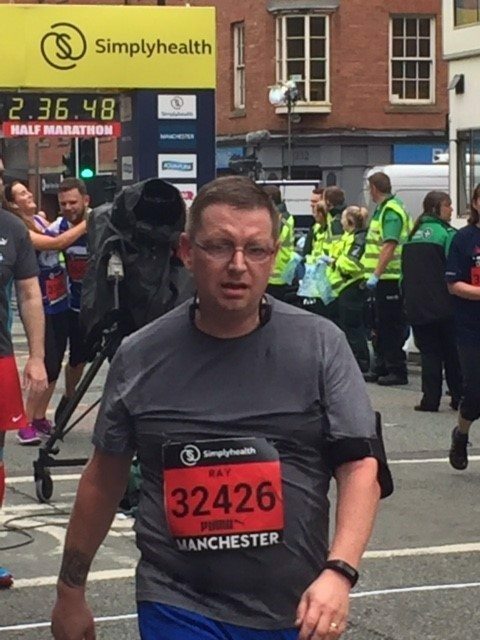 Ray completed the Manchester half marathon, in honour of Joshua, and we cannot congratulate him enough. Well done Ray! 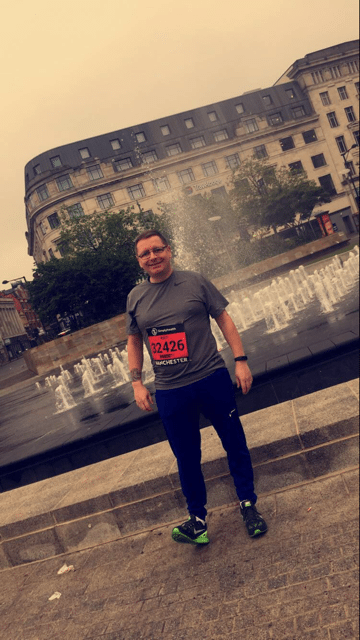 I can safely say that doing the run for this charity is what got me over the finish line as I developed cramp after around 11 miles, the final 2 miles were torturous. But the feeling of exhilaration when I crossed the finish line is like no other feeling, possibly as I was so in need of the finish line at that point – this is despite the way the picture makes it look – I really did feel as bad physically as I looked but was so, so, so happy. I am so pleased to have been able to raise money again in Joshua’s memory – it makes me so happy to do my bit”. Ray’s fundraising for the Trust also inspired a dress down day at his workplace, Topping Partnershp. Many thanks to all who took part. Many thanks and congratulations again to Ray – what a superstar! Myotubular Trust shared a post. Very proud to have supported this ground breaking work by Jocelyn Laporte at Igbmc (Institut de génétique et de biologie moléculaire et cellulaire) identifying a new potential route to a treatment for myotubular and centronuclear myopathy. As we have come to expect from Dr Laporte's world class team, this is again a hugely important and significant breakthrough in our understanding of ways in which this condition may be cured.